The Oakwood Estates subdivision is a new home community located in Southwest Meridian, Idaho. Phase Two is currently under development and offers three and four bedroom floor plans with the option of two to 3.5 bathrooms. Homes for sale in Oakwood Estates range in size from 2,025 to 3,279 Sq Ft. More about Oakwood Estates real estate. 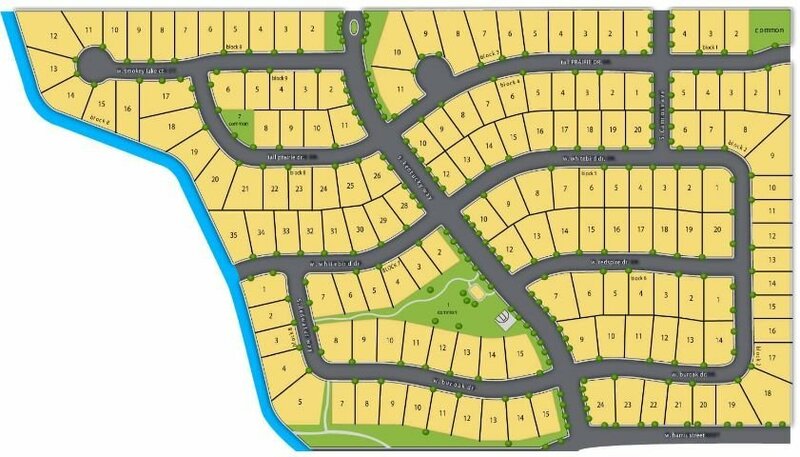 Homesites: Building lots range in size from 0.17 acres (7,405 sq ft) to 0.401 acres (17,468 sq ft). Browse all new homes in Meridian Idaho or view the complete guide to new Meridian subdivisions. Home builders include Amyx Homes, Berkeley Building Co, Eaglewood Homes and L2 Construction. From I-84 head south Meridian Rd. Turn right (west) on Victory Rd. Turn left (south) on S. Kentucky Way. Proceed to Oakwood Estates. Looking for the perfect place to call home? We can help, contact us online or call (208) 391-4466 and see for yourself what hundreds of happy Meridian real estate owners already know.